At least one thoroughly unsurprising thing happened at the Democratic debate in Flint, Michigan: Bernie Sanders brought back his infamous side-eye. The Vermont senator's penchant for glaring at Clinton with a skeptical, irritated look on his face has been on display since these debates began, and he didn't disappoint on Sunday night. 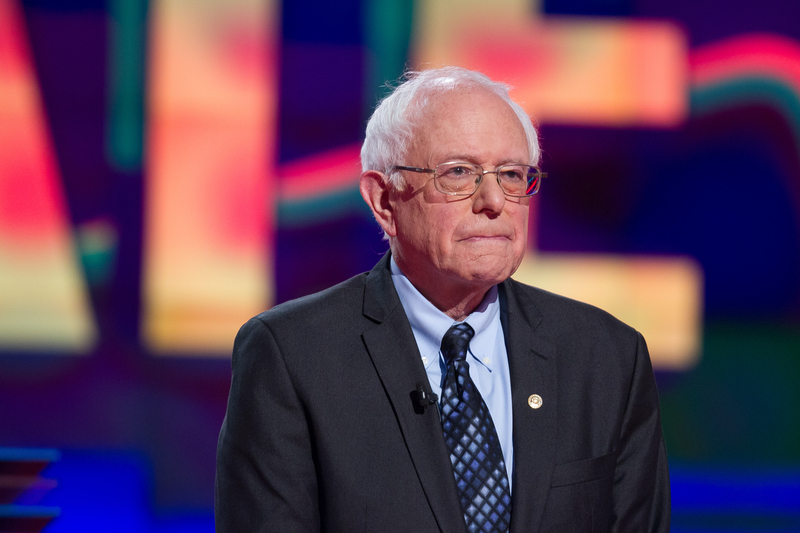 The Bernie side-eye has become a staple of these Democratic debates. When Clinton says something that Sanders finds distasteful, he conjures up a very specific facial expression. You might call it a mix of disgust, disbelief and confusion. It's as if Sanders has just caught a whiff of something that smells bad, but he hasn't yet figured out where the smell is coming from or what's causing it. After Clinton and Sanders met for a forum in January, some pundits cheekily commented that Bernie's side-eye was the winner of the debate. And hey, let's give credit where it's due: Regardless of how you feel about Bernie's policies, it's hard to deny that he gives a good side-eye. This talent was on full display on Sunday night, when Sanders shot Clinton his infamous expression after she accused him of opposing President Obama's auto bailout. Needless to say, the denizens of Twitter took notice. Sunday was the seventh Democratic debate. A lot of people are getting sick of these things, and I wouldn't be at all surprised if the candidates were, too. But we should probably savor them while they last. Once this primary is over, no matter who emerges victorious, we may not see the Bernie side-eye again for quite some time. That will be a shame, so let's make sure we appreciate each and every one of Bernie's sideways glances.